1. Seychelles, St Helena, Tristan da Cunha, Mauritius, Comoros, Canary Islands, Réunion and São Tomé and Príncipe are all coastal territories. There are no land bridges between any of these territories, but fleets can convoy through them. 2. There is a land bridge between Cairo and Sinai. 3. 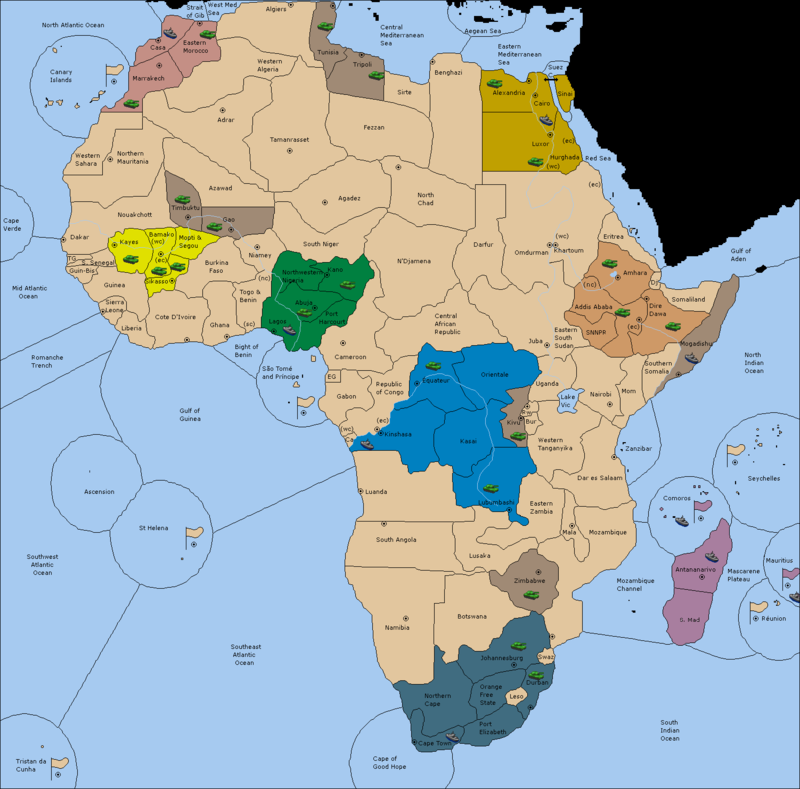 There are standing neutral units in Mogadishu, Zimbabwe, Gao, Timbuktu, Kivu, Tripoli and Tunisia. These are due to recent unrest or a closed-off government. 4. The Nile, Congo, Niger, Sénégal and Shebelle rivers are all navigable by fleets, but can't be convoyed on. 5. Players can build in any territory that they own that is unoccupied.